Under construction at New York’s JFK International Airport is the world’s first all-animal airport terminal. 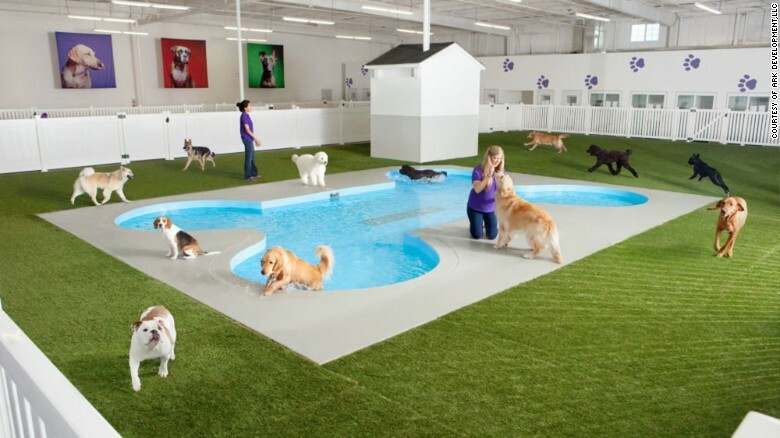 The terminal will be home to a 24-hour Paradise 4 Paws pet resort featuring a bone-shaped dog pool, pet suites with a flat-screen TV option, massage therapy and a jungle gym for cats. For dogs and other pets on long-haul journeys, this facility promises to offer the highest standard in care. Can’t wait to see it – it should be open in 2016. Just in time for the pre-Christmas madness, the Humane Society of the United States has published this very useful list of things to consider when choosing a boarding kennel for your pet. Is your dog joining you for holiday celebrations this year, or are they going to a kennel? In our area, most kennels are fully booked for the Christmas holiday period. New research suggests that dogs who spend a short time in boarding kennels may not find it unduly stressful and – quite the opposite – could find the change of scenery exciting. The research team, which included academics from the University of Lincoln, UK, University of Birmingham, Queen’s University Belfast and The Royal Veterinary College, measured a range of stress parameters in 29 privately-owned dogs – both at home and in one of three private boarding kennel establishments in Northern Ireland. This study aimed to test the validity of a range of physiological, physical and behavioural welfare indicators and to establish baseline values reflecting good dog welfare. Physical measurements included skin dryness, nose temperature, core body temperature and amount of food eaten. Behavioural measurements included spontaneous behaviours such as lip licking, paw lifting, yawning, shaking and restlessness. Physiological measures included stress hormones (corticosteroids) and epinephrine (adrenaline). The study revealed that dogs have higher levels of arousal, colder noses and were generally more active in kennels than when they were at home. Based on existing research it was assumed that dogs would show higher levels of stress in the kennel compared to the home environment. The most widely used physiological indicator of canine welfare is urinary cortisol (hormone secreted following activation of one of the major stress response systems) and creatinine (chemical waste product created by the liver) ratios (C/Cr), which is considered a valid measure of acute and chronic stress in dogs. However, the reliability of this has been questioned. The study revealed that C/Cr was significantly higher in the kennel compared to the home environment but cortisol levels have also been found to increase after exercise and excitement, and appear to provide an indication of arousal without specifying the emotional reason of that arousal. The team recommends further investigation to determine the validity of measurements tested as indicators of acute and chronic stress in domestic dogs. Their study has been published in the journal Physiology & Behavior. Hotel rates start at $65 per night, with $90 per night for luxury rooms. A daycare stay is $35 per day. 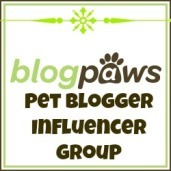 This facility was founded six years ago by Rebecca Willson, who is a certified pet trainer. Rebecca started as a dog walker and then expanded the business so it now offers not only dog walking, but training, daycare and luxury boarding. For $5.00, your dog can have a Kong toy filled with peanut butter at bedtime. For $20.00, a member of staff will give your dog 15 minutes of snuggle time before bed. This facility offers 24-hour supervised care – so no more worrying when you have to leave your dog for work or vacation. 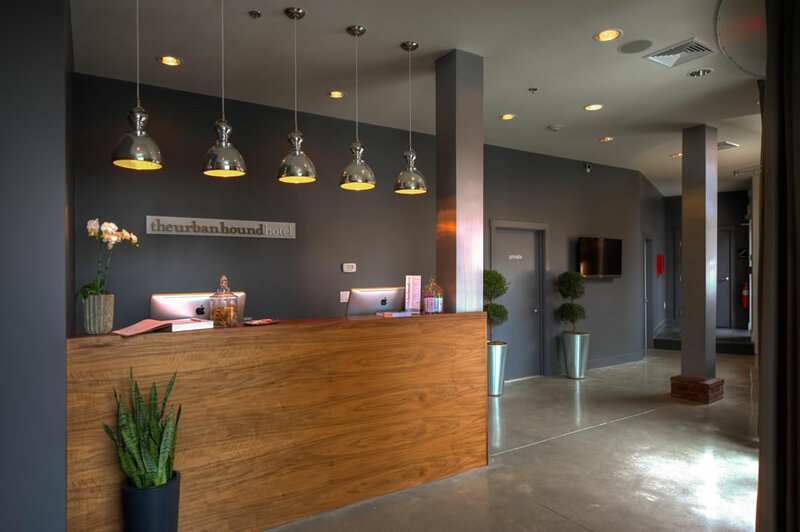 It is great to see facilities like The Urban Hound raising the standard of dog boarding and care. The rooms look cleaner than some people hotels I’ve seen!